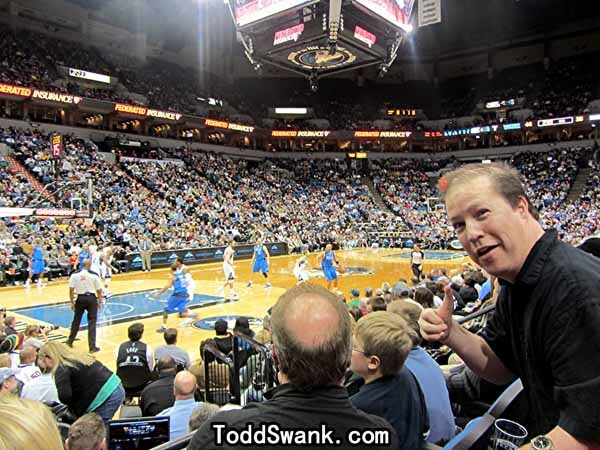 So the NBA is back in business and our local team, the Minnesota Timberwolves, has a lot of young talent who seem like they just may be fun to watch. 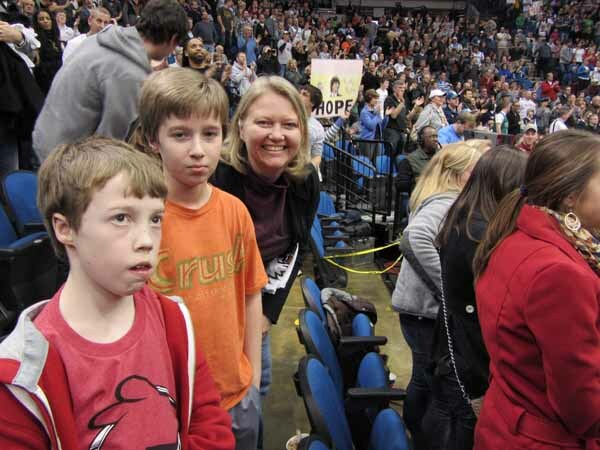 So I drug Miss Sheri and the boys to a game. 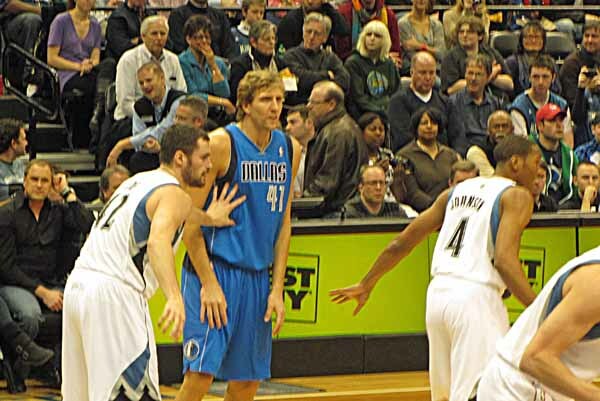 Dirk Nowitzki and the Dallas Mavericks were in town. Right from the get go, Kevin Love and team made it pretty clear that they weren't going to be pushed around. The crowd was Dumbfounded in anticipation of the battle that they were about to witness. 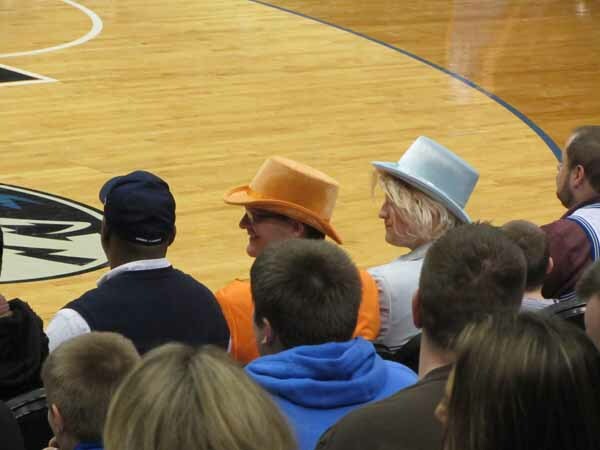 The Timberwolves Dance Team did their best to stoke up the crowd, but they had a tough time gaining anyone's attention. Everyone was just too focused on basketball! 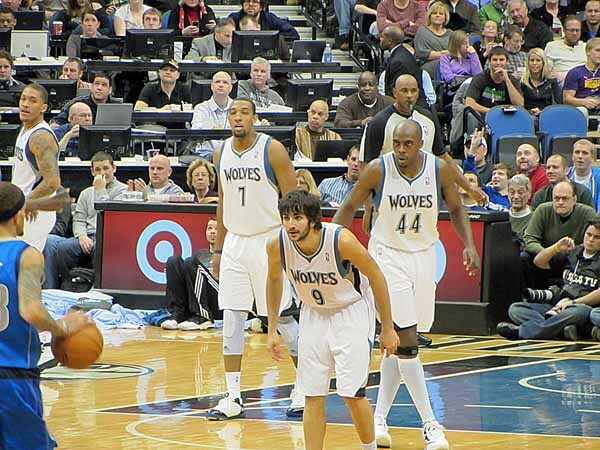 Ricky Rubio is the new kid in town that every is all excited to watch. We found out why when he entered the game and added a few extra volts of electricity to the floor. It caused anyone near him to suddenly shoot up in the air without even knowing why! 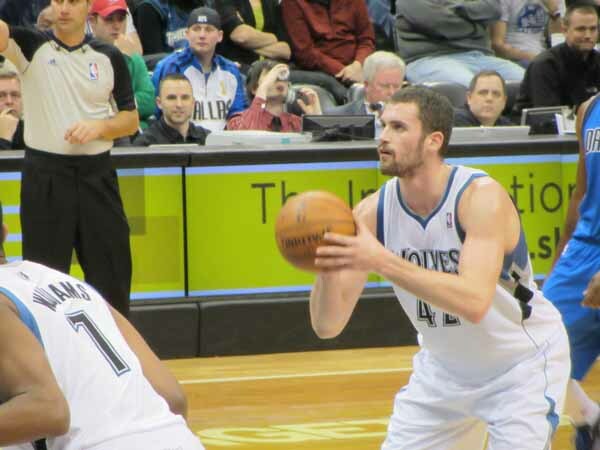 Kevin Love continued his dominant play by scoring 25 points and adding 17 rebounds. In the end, the scrappy, young home team proved to be too match of a match for the World Champions. They snapped an 18 game losing streak stretching back into last season and showed every one that this is a new team in town! Vivo El Rubio! 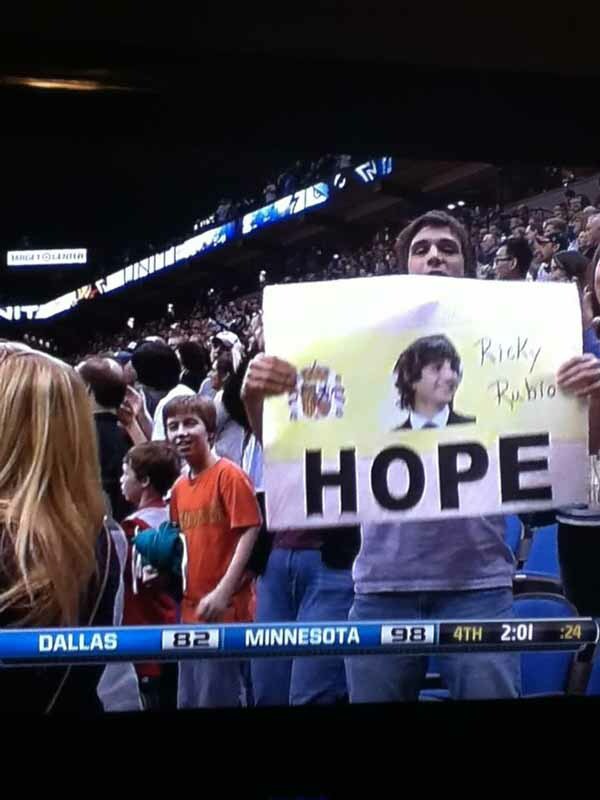 The Timberwolves won and half the Swank Family made it on TV. All in all, it was a pretty darned good night!